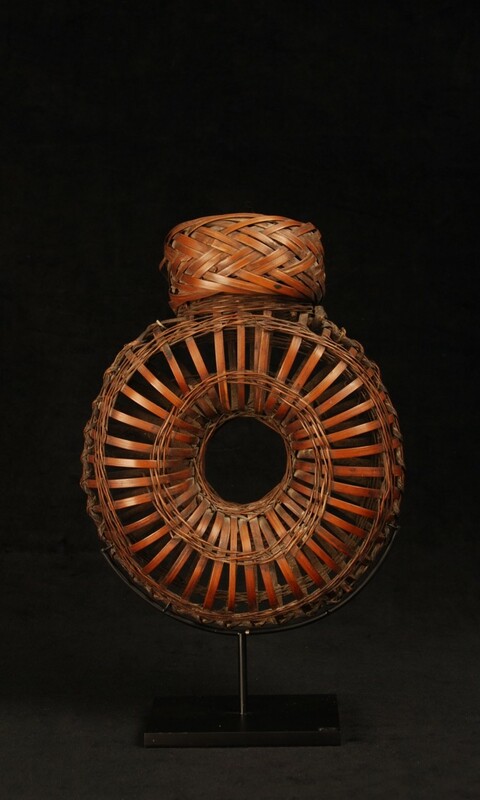 Chinese bamboo sparrow basket. 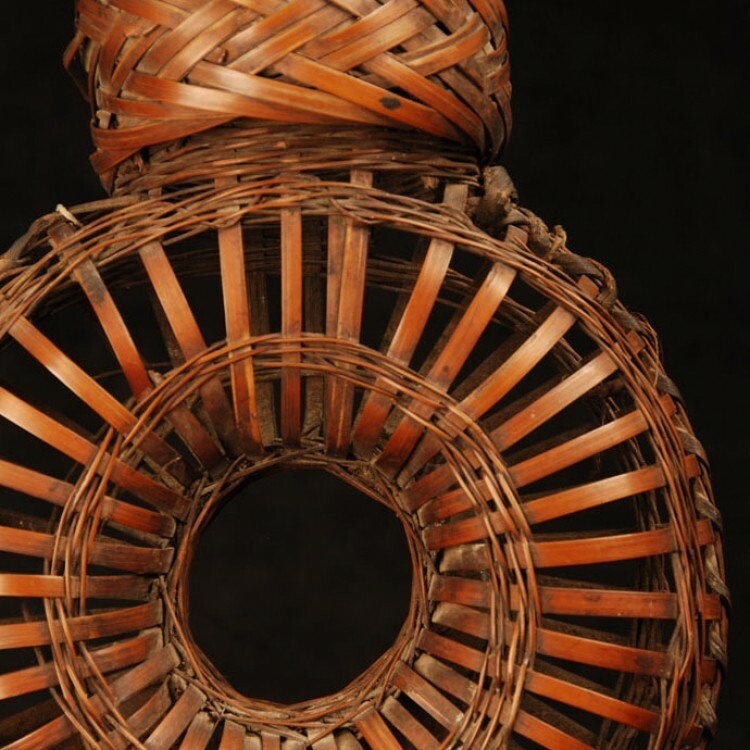 The torus form basket for carrying sparrows home from the market. On contemporary metal stand.